This is a flat out incredible time!! I had a feeling once Costas Supercharged his M3 that he would eventually get the record, awesome job Brother! 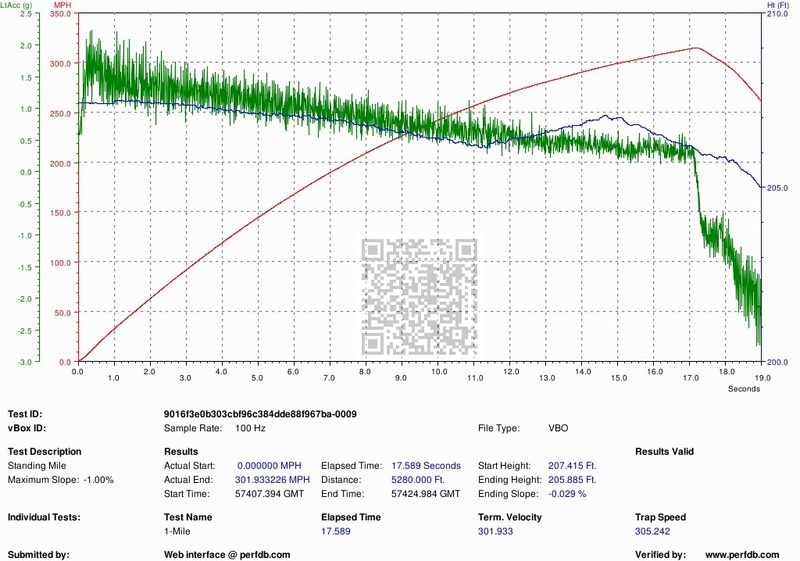 He did it in 6.16s, on a nearly flat road -0.31%, in his ESS VT600 Supercharged DCT, M3, on street tires as well. Here is Madsex343's 100-200kph as well. Now that was fast indeed! Wow man. This is crazy fast. Were there any power adders at all? This is 6mt as well? Going this Saturday to the track "famoso".. See what she can do. That's weird because I only see one shift on the graph. No power adders I know of, except 200 CEL cats and supersprint exhaust, it's DCT for sure, it's very difficult to see shifts on the DCT, but if you know approx where they are you can detect them. He shifted 3 times. At times you can detect one more easily sometimes not, if the G's completely drop that helps. The program used in the first graph has thicker lines so that shift was easily more detectable with that program when you look at the speed and the scaling has an effect too at times. With the Racelogic program, it's almost undetectable when you look at speed, but you do see the G's drop, other DCT graphs show G's dropping like this on shifts as well, at times they don't. With Vbox tools it's a little easier to see that one shift you are talking about with a different scaling. Last edited by DLSJ5; 03-20-2012 at 11:20 PM. I told you the car felt crazy fast during the run and now that I am reading the grpahs from 2nd to 3rd gear car was pulling in excess of 1G!!! As for the drop when I shifted from 4th to 5th there might have been a small slipping invloved or even possibly hitting the limiter for a split second as I was in manual! Thanks Drew. That makes sense with the shifts. How the F were you able to pull 1g at 74 mph? That's amazing! Were you running any power adders? What is your peak boost? Congrats on the run man! No problem Craig, you brought up some great points as always. The time is flat out unreal. When I hit 6.8, it was in the middle of summer and I did have some wheel spin going from 2nd to 3rd. Costas was in much cooler weather, and he hooked on this incredible run. Seeing that he holds the NA E9X M3 record I wasn't suprised it was him, but I was a little shocked by this time! Not sure if you saw my post but I noticed that your time is quicker than the other ESS VT600 kit with 100 shot. Were you running any power adders or were you just running more boost? Craig I think your question is fair, and I understand your skeptism, but he already listed what he was running, I listed what he was running in the first post on the matter, I also said the car was DCT, yet you still thought that it was a 6MT. When comparing the below 60-130 and 1/4 mile results, please keep in mind that variances in temperature, humidity, road surface conditions, tire grip, and driver input can all have a measurable impact on the data. I mentioned some solid reaons why his time improved, and again he owns the M3 NA record 9.7, and the 997TT flash/exhaust record, so he knows what he's doing. Drew, no disrespect brother but I wasn't asking you. I was asking madsex. I saw your post but i never saw him post what he had. I know he holds a couple records so does this mean that he keeps getting factory freaks?if we were talking manuals then I can see the comparison of shift times. Who knows, maybe the atmospheric pressure is just incredibly high in Greece lol. Actually, I'm very curious to see what you do with your LC motor. Hopefully you can do better or it's going to look a little strange. None taken, but him telling me and then me posting the info isn't good enough for you? Costas, please answer his questions, I think they're fair. Do you think it's a little strange that a car drops over 1 second off their time? That's all Costas did from his last run, according to him it's all do too traction. 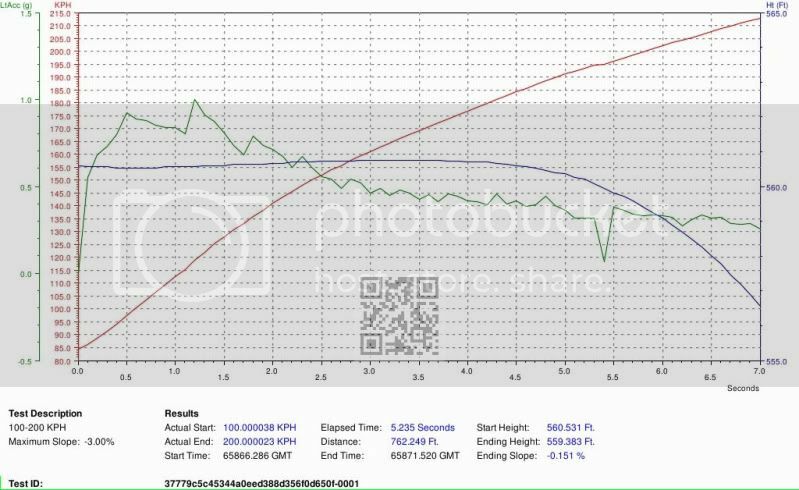 Regardless of what I run with my new setup, I have no doubt a LC motor running 11+psi will easily outrun a VT600 head to head, same day. But without good traction that time will be tough to beat. No worries my friend as I am explaining there quite clearly I believe that there was no bogus hocus pocus stuff - it just happened! Nevertheless the car is easy breaking into mid -high 6's no matter what so that 1 perfect run at 6.2 although amazing and very fast is within reach apparently! Do you think it's a little strange that a car drops over 1 second off their time? That's all Costas did from his last run, according to him it's all do too . For God's sake how can we even compare the 2 runs starting in different gears when talking abt sg cars???? I have a feeling that you will be at the top of the list for a while. Think we can ever hit these times? Recently I've been working with the creator of "vBox Verify" -- a program that will scan and verify all of your vBox files. vBox Verification is much more than checking for slope. vBox Verify will also check for missing satellite signals, corrupt sample rates, missing and corrupt data as well as slope. 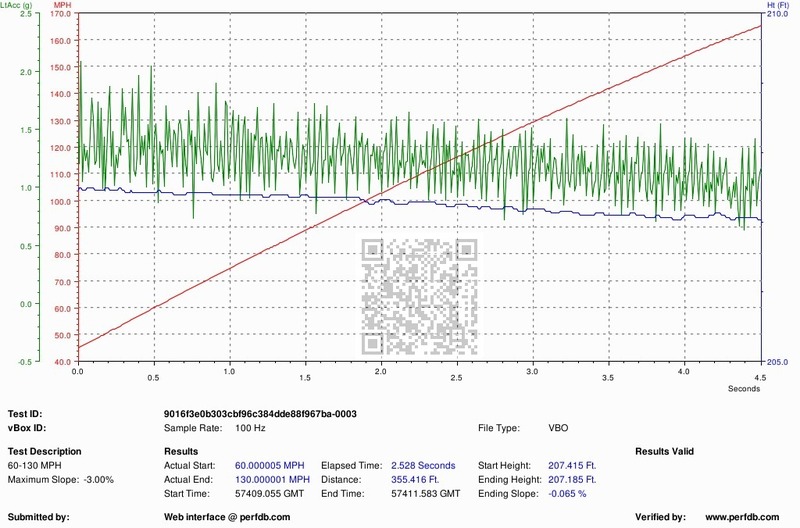 vBox Verify will scan a vBox file for a series of velocity and distance tests. To test the program, Race Logic (manufacturer of vBox) donated a series of files to ensure compatibility with all vBox file formats and all vBox sample rates. The files were a mixture of different formats, data types, and sample reates and were intended to find bugs and ensure compatibility in the vBox Verify program. One of the files they donated not only shows off the vBox Verify program itself, but the car and vBox used to capture the data. The device was Race Logic's flagship vBox-3i, 100Hz sample rate. The car and file came from Richard Hammond's "Jet Car" featured on the BBC TV show "Top Gear." What you are about to see came directly from the vBox file on Richard Hammond's Jet Car. 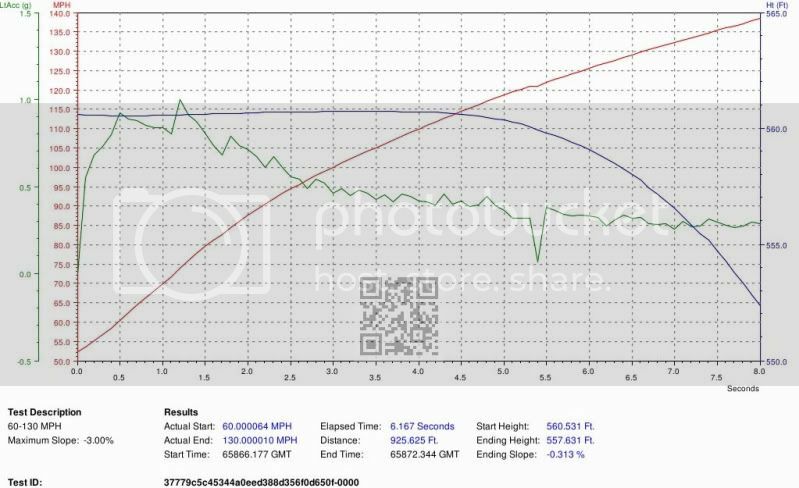 If you ever wanted to know how well a Jet Car performs in a 60-130, 1/4 Mile, or Standing Mile, then enjoy the graphs below. 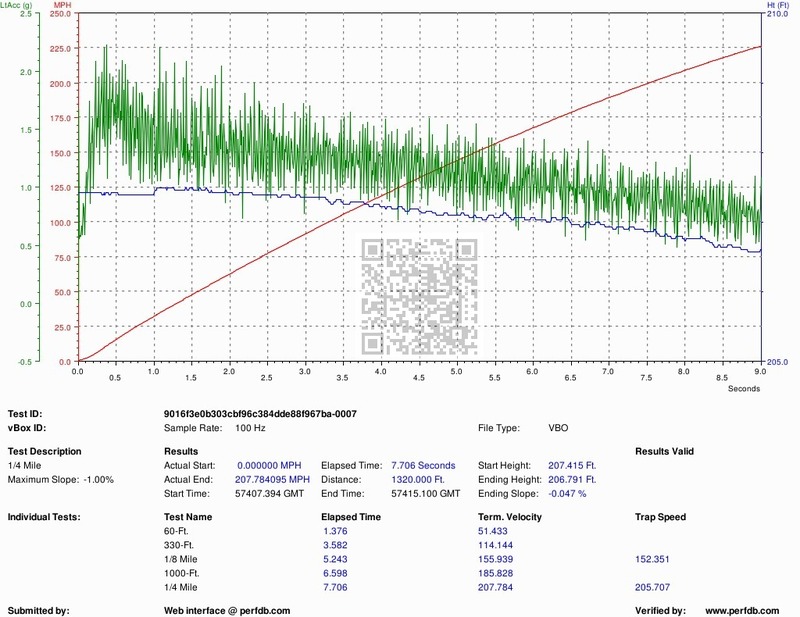 The graphs were generated from the vBox file used during the Jet Car test as discussed on Top Gear. On the very next run, the tire blew out at 288 MPH and the Jet Car crashed, and Richard Hammond was injured. One thing to notice: vBox Verify will auto-scale the axis regardless of the data. And when you get to the bottom and your jaw drops, the answer to the question you are about to ask is "Yes!" Yes, the Jet Car ran the standing mile in 305.242 MPH even though the parachute opened before the end of the mile.